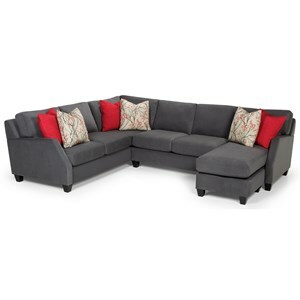 Surround you and your family in comfort with this casual sectional sofa. 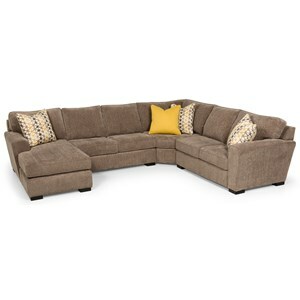 Feather seating, backs, and pillows provide soft support while a chaise offers the perfect place to kick up your feet and unwind after a long day. 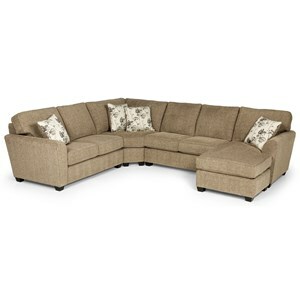 Rounded arms and exposed wooden feet convey a casual look to this sectional. 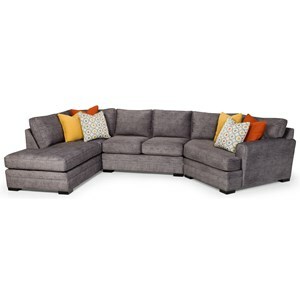 The 282 Casual Sectional Sofa with Chaise by Sunset Home at Sadler's Home Furnishings in the Anchorage, Fairbanks, Sterling, Alaska area. Product availability may vary. Contact us for the most current availability on this product. 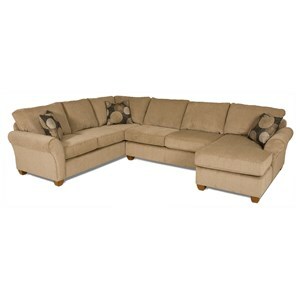 28231 Armless Loveseat Section 1 52" 37" 43"
28221 1 Arm Chaise 1 36" 69" 37"
28210 Tux Sofa-Left 1 102" 43" 37"
Casual style and great seating for you and your family, the 282 upholstery series is ideal for a more laid back and relaxed living room environment. 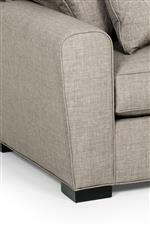 Rounded arms create a soft look for each piece and exposed wooden block feet support each base. 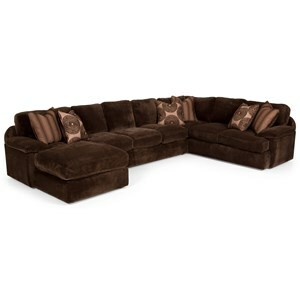 Add a sectional to accommodate more people or keep it simple with a sofa, either way you'll be able to create the perfect living room for your home. With many fabric options available, you are sure to find one that works perfectly with your home's existing decor. 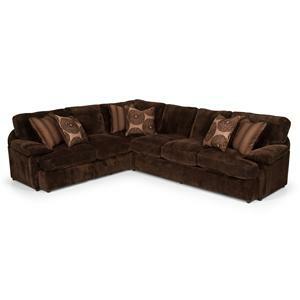 The 282 collection is a great option if you are looking for Casual furniture in the Anchorage, Fairbanks, Sterling, Alaska area. 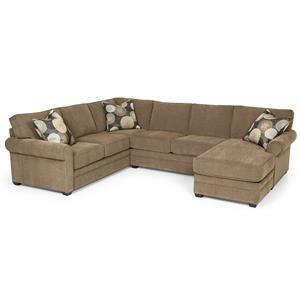 Browse other items in the 282 collection from Sadler's Home Furnishings in the Anchorage, Fairbanks, Sterling, Alaska area.